CUTE! Beautiful home on just over a half acre. GREAT location! New Granite Counter Tops, Updated kitchen all around, New Water Softener and New Water Heater. The dimensional roof is 15 years old and the furnace is only THREE years old! Do not miss out on this home! 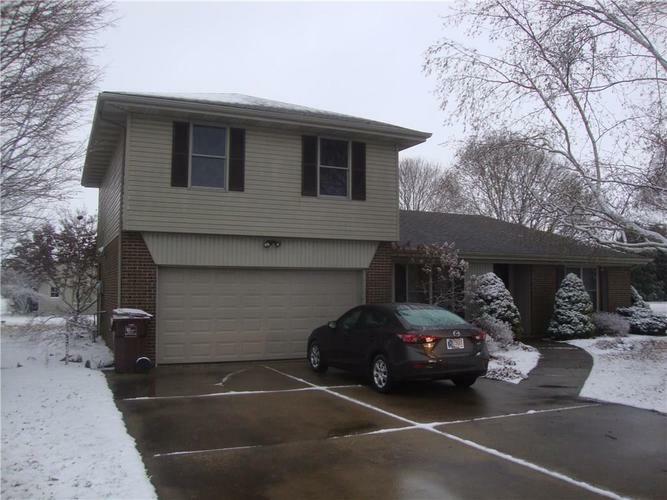 The seller's loved everything about the home, BUT unfortunately the husband has a job offer in Plainfield and has to move close to that area. New vinyl and carpet flooring throughout. Updated double hung vinyl clad windows. Directions:State Road 19 to Fairground Rd, turn west, to 200 W, turn south and proceed to property. Listing provided courtesy of Bowman & Associates, LLC.